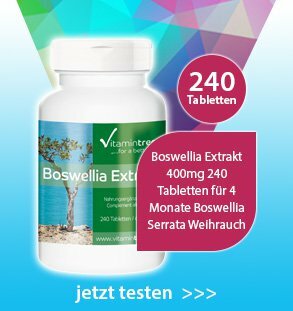 Zinc is an essential trace element due to its effect on almost 300 enzymes. 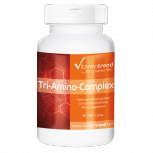 It is needed for an optimal function of our cells and it is involved in many metabolic processes. 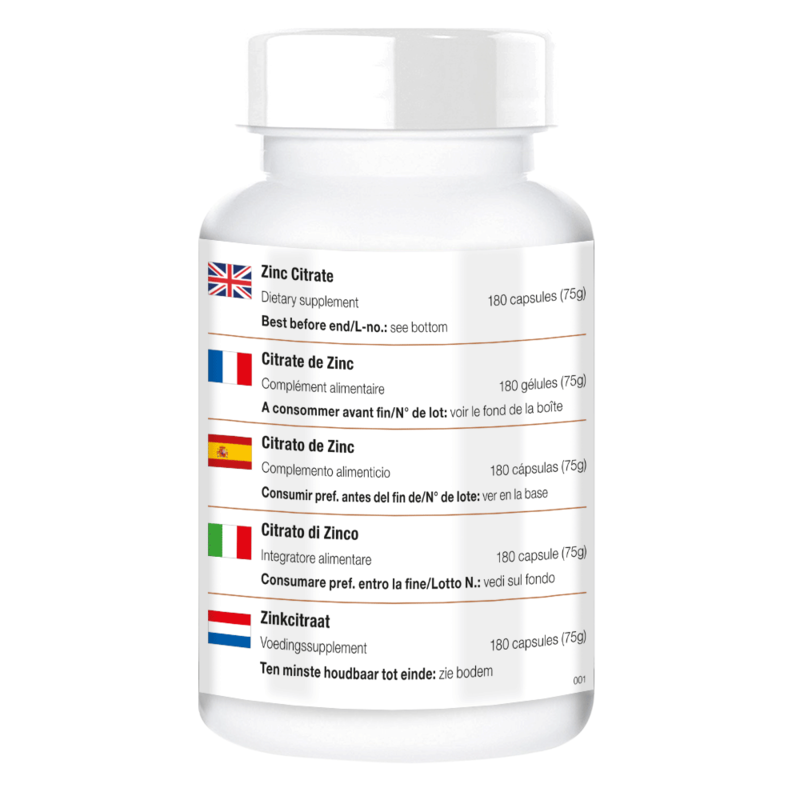 Zinc can be regarded as an important defence substance, because it has a significant role in our immune system. it can be traced back to soil poor in zinc due to intensive farming and the methods of food processing. 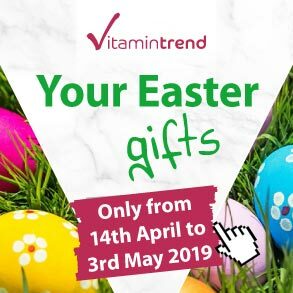 People especially at risk to suffer from a zinc deficiency are vegetarians and vegans, because zinc mostly occurs in meat, offal, sea food and eggs. 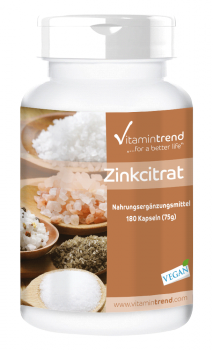 Zinc from plant sources such as grains and legumes (phytates) can only be resorbed in small amounts. Furthermore, smokers and people with metabolic strains tend to suffer from a zinc deficiency. 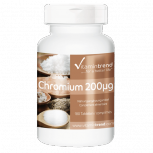 Especially older people from the age of 65 have an increased need for nutrients and zinc. 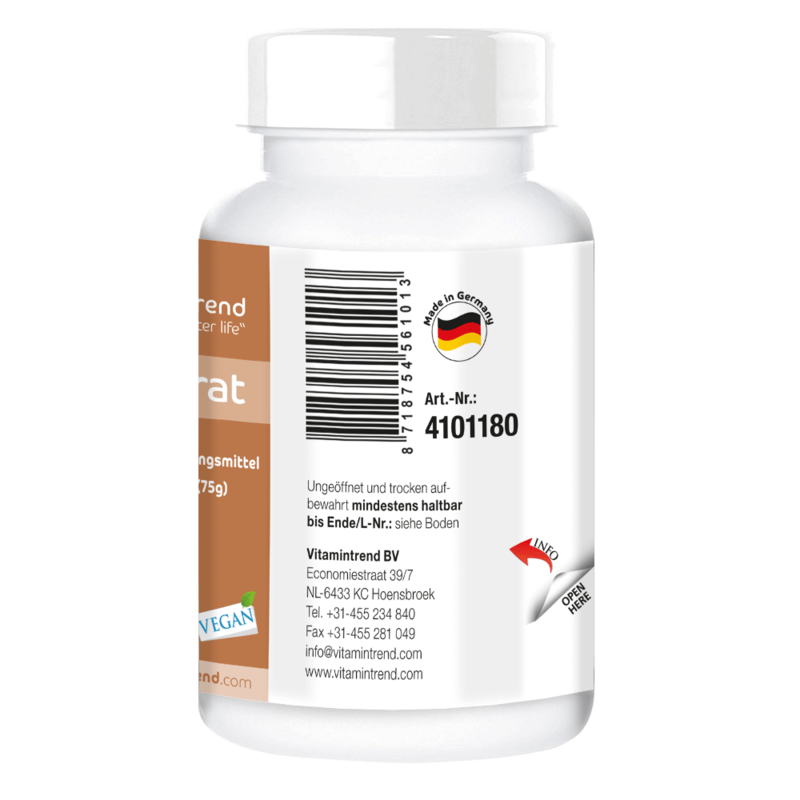 In this dietary supplement by Vitamintrend, the zinc is bound to citric acid and can therefore be resorbed very well by the body. A study compared the absorption rate of zinc citrate to the absorption rate of zinc gluconate and zinc oxide. 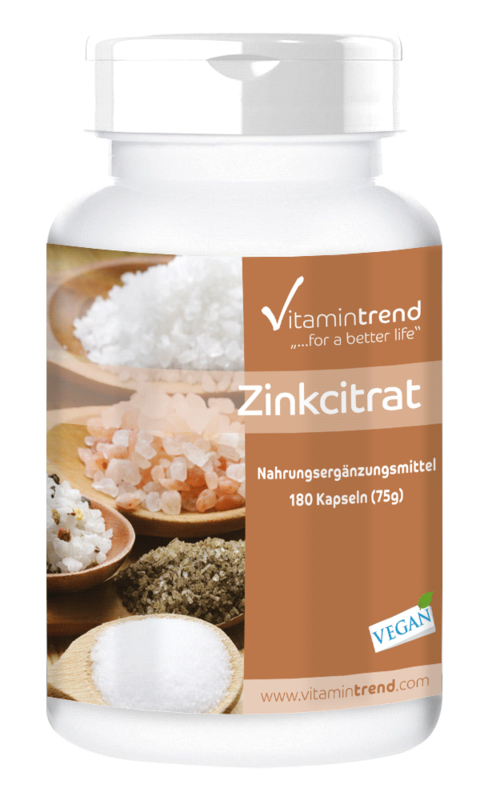 On average, zinc citrate was resorbed up to 61.3% (at least 56.6%, maximum 71%). The absorption rate of zinc gluconate was 60.9% (at least 50.6%, maximum 71.7%). Zinc oxide was the worst resorbed compound of all three with 49.9% (at least 40.9%, maximum 57.7%). Three of the test persons didn’t resorb zinc oxide at all or only very small amounts.